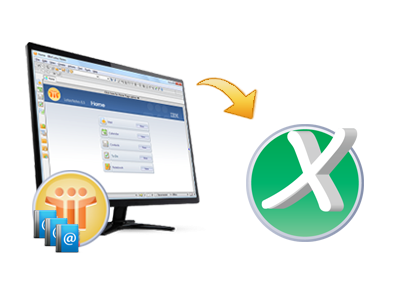 Securase application is the finest and the robust Lotus Notes NSF local security removal utility. With this extraordinary program user can remove security in lesser time than any other application take to complete the process. Local Security Eraser Program removes security from data saved in Lotus Notes NSF database. With the few clicks user can remove local security with this authentic application. Sometimes while accessing your colleague system with NSF data, you might encounter with much error messages such as "You are not authorized to access that database". This utility is easy and simple to use software that makes Notes user to save time in finding correct username and password to open a local NSF file. Securase support to erase local security of NSF files which are created using Lotus Notes Clients 9.0, 8.5, 8.0, 7.0, 6.5 & 5.0. Security provided by ACLs in Lotus Notes NSF file is removed by our Software very easily and in a quick way. Securase offers unlocking of the locally protected Lotus Notes NSF database file to offer unrestricted access of database to users. The software completely removes local protection in the process of unlocking. Securase is built with a unique set of algorithms that not only offer a precise service but also a secure one. While the database is being unlocked, software maintains its integrity completely. When unlocking Lotus Notes NSF local protection, you don't need to worry about the file size. The software is capable to remove NSF security of all sizes without putting up limitations. Though the tool is developed to offer security removal services for Notes database, it does not require Lotus Notes to be operated. Securase is a standalone and works without Lotus Notes installation. Lotus Notes database security remover is a Windows OS based application. Hence, the tool simply requires only a Windows based environment regardless of its version. It supports even the latest Win8 version. Once you have removed local security protection from your NSF database file, it can be saved as an NSF file of decrypted form. The local protection will no longer be set on your NSF file. Does Lotus Notes mail Client installation requires before execution of the software? Yes, the Software requires Lotus Notes installation on local machine. Where I can get full version of the software? You can go on the purchase link give on site and when you make payments the activation link and full version software will mailed you as soon as possible. Is the software gives any error regarding NSF file size limitation? No, software never gives NSF file Size Limitation during NSF file security removal. Which Operating System supported by Software? This software supports only Windows operating System. It can be any of the Windows OS like Win 8 and all the lower versions of Windows Operating System.